At Mary E. Doyle, CPA, a Norwood CPA firm, our accounting and bookkeeping services are tailored to each business owner's circumstances. 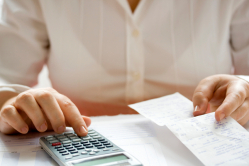 We also provide tax preparation services for individuals, trusts and estates. For some of our accounting clients on the South Shore, we do all of the accounting - local outsourcing at its best. We help keep your financials in order while supporting you and your employees in doing as much as you want on your own. All Mary E. Doyle, CPA clients, regardless of the level of service, know they only have to pick up the phone for professional advice and personal support. Many of our clients choose to handle basic bookkeeping and use our Certified Public Accounting (CPA) expertise for more advanced accounting services such as comprehensive financial statements, financial analysis, budgeting, forecasting, financing, strategic planning and mergers and acquisitions. Our clients rely on the critical information about their businesses they find in our financial statements and business reports. These regular and on-demand reports show a clear financial picture of your business, help secure loans, support business decisions, monitor results, and show the progress of your business over time. Tax issues can be complicated regardless of the size of a business, from payroll taxes to sales tax, property tax, IRS examinations and more. We stay abreast of tax law changes throughout the year to ensure compliance and to take advantage of ALL available tax incentives. We offer a FREE initial consultation for business owners. Call us at 781-762-3322 and ask for Mary Doyle to discuss your specific needs.